Sarah Weiss, MA, LMT, is a Medical Intuitive and Spiritual Teacher in private practice in Northeast Ohio. 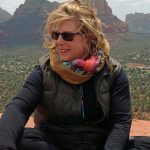 She is the Director and Creator of The SpiritHeal Institute for Intuition and Healing, The Enlightened Empath Training Program, and of Light Journey Training. Her purpose in life is to empower others to awaken their own healing abilities through initiatory transmissions that catalyze transformation on a very deep level. Sarah’s skill of awakening high frequency awareness, subtle energy perception, and self-empowerment grew and blossomed through 45 years of committed training with spiritual masters from many traditions. Most notably she is an initiate of the Sufi Tradition, the Andean Tradition and the Taoist tradition. She has been acknowledged as a master teacher in each of these traditions. Our true teacher is within our heart. Our heart teaches us that we evolve through reciprocity. When we give we receive and when we receive we turn around and give. This keeps the energy flowing and vital. Whether it is with the consciousness of nature, our brothers and sisters both human and divine, or the cosmos, once we open to reciprocal exchange our true nature naturally unfolds and we learn to be both fully human and divine. Sarah works with physicians and mental health professionals to support their clients in healing. She bridges the academic and the intuitive, the traditional and the non-traditional, the spiritual and the secular when the mysteries of illness call for inner growth and awareness. Most recently Sarah has taken a position as adjunct faculty at Baldwin Wallace University where she teaches Meditation and Mindfulness as a full credit course to Music, Theater and Business majors. She has also recently developed a distant learning program called The Enlightened Empath which guides empaths through the mystical understanding of their potential for enlightenment and life fulfillment. 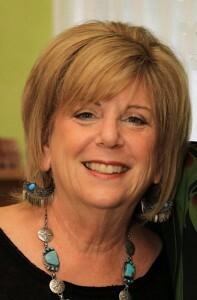 Sarah has studied and practiced the meditative and intuitive healing arts for over 45 years. She works with individuals who are seeking wholeness and healing. Her intuitive counseling sessions include spiritual guidance and spiritual healing as well as medical intuitive assessments. She involves her clients in the process in a way that awakens their own intuitive and healing abilities. It is her belief that the most powerful healing and insights come from our divine nature within and if we can be guided to access that inner wisdom we can begin to heal ourselves. Clients leave Sarah’s office with homework–daily energy practices ranging from visualizations and meditations to energetic exercises that increase health and well being. Light Journeys are sessions in which Sarah helps seekers access their own healing ability, explore their energy fields and discover the roots of chronic and/or acute challenges. At the end of a Light Journey session, a plan for healing, spiritual direction and life changes is co-created by the client and Sarah. Two audio programs also support her clients in deepening their intuitive abilities: Medical Intuition–Developing Your Intuitive Perception and Silent Mind, Soaring Heart–Meditations for Healing and Spiritual Growth. Her certifications include Reiki Master, certified Master Qigong instructor, licensed Massage Therapist, certified Polarity Therapist and Infant Massage instructor. Sarah has taught at a variety of schools, institutions, worked with professional sports teams and corporations sharing her practical wisdom and healing with many. Prior to founding SpiritHeal Institute Sarah had a full career and in the visual arts and media, non-profit management, marketing and public relations.